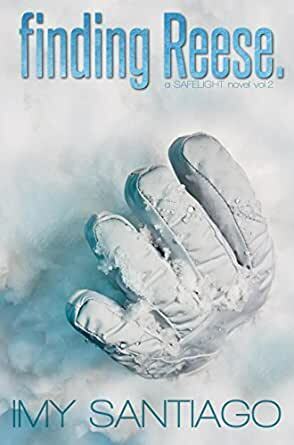 The adventure continues in finding Reese., the next chapter in the SAFELIGHT series by award-winning writer Imy Santiago. Bonus Content: finding Reese. contains a sneak peek of We Met on a Train, an upcoming Contemporary Romance by Imy Santiago. I love to read stories about loss, heartache and redemption, so it didn't shock me that I would end up writing stories revolving around those central themes. I write with my heart, using my life experiences and emotions to dictate the tone and path in which my fictional characters embark in my long list of stories. I believe in the power of friendship and to always remain hopeful because life is always full of pleasant surprises. If you were to ask me if I consider myself an author, I would tell you no-I am not. I'm just a girl who loves a good story that makes you ponder life choices and the darkness that envelopes a broken heart. My stories are about loss, friendship, hope, and love. When I'm not writing, I'm enjoying a quiet life with my family on Long Island New York (yes, on-that's how Long Islanders roll). 5.0 out of 5 starsA Fantastic Must Read Story! I was really looking forward to reading finding Reese – book 2 in the #Safelght series, and I was not disappointed. The story picks up where book one ends, and carries you along flawlessly. The characters develop further in this book, their friendship bond becoming tighter than ever as their lives take twists and turns, and obstacles are put in their way; but love and friendship endures. I love Stryder and Catalina’s relationship it is honest, tender and loving. I love the friendship between and Jackson and how their lives intertwine and improve because of their friendships and love for each other. It is refreshing to read characters who are so real and life like, with flaws and insecurities like the rest of us but also with integrity. Imy Santiago has a beautiful way with words, she can weave a story which captivates you and draws you in. She is a masterful writer. finding Reese is a brilliant story and a definite must read. I loved chasing Reese – book 1 in the series – but I was blown away by book 2 and cannot wait for the concluding book of this wonderful story. In Chasing Reese we were introduced to these wonderful characters. The connection that Catalina, Stryder and Jackson share is beautiful. There friendship grows because they challenge each other, push each other out of there comfort zone, listen to each other and most of all show love for one another. When I got to the end of Chasing Reese it ends in the cliffhanger and I was dieing to know if he was going to be found. Which leads us into Finding Reese. I knew this was going to be an incredible continuation and it was. It was brilliant. I loved that the bracelet that Catalina gave to Jackson is what led the rescuers to find him. Catalina and Stryder knew in there heart that he was alive and they had to find him. I loved it. I was so emotional through out the whole book. Imy captured the feeling and emotions of the characters like they were speaking there parts to her. Catalina and Stryder shows what a true friends are by being there to help Jackson during his recovery. When Stryder goes on a photo assignment, Catalina takes over his care. She is there to help when he wants to give up. She is there to listen to him and make sure he is pushing himself to get better. His goal is to get better so he can snowboard once again. Catalina and Jackson have a surprise for Stryder when he returns from his assignment. Catalina has always thought she has two left feet and can't dance. She knows that Stryder loves to dance and she wants to be able to dance with her man. Jackson wants to teach her how to dance and it also helps him in his recovery. Styrder has a few surprises of his own too. I can't say anymore without giving away the ending. I loved the ending and it sets up for the next book. I can't wait to read more about there story. 5.0 out of 5 starsA-mazing! ! Well double that and you've almost reached my feeling on book two finding Reese! Yet again Ms Santiago has floored me with her linguistic prowess ! This talented author is carving out a well deserved name for herself in the social media world and I can't wait to see where she develops this story and the already amazing characters. Book 2 is a continuation of the story from the end of the first installment so it's highly recommended you begin with book 1. I really don't want to leave anything about the storyline from this book because I would hate to spoil the reading experience for anyone that hasn't yet read chasing Reese and trust me that experience is worth the read and more so from book 2!!! The development of the story through this novel has me itching for the third book in the series to come out. I will say that I love love loved the characters during book 1 and didn't think it possible to love them anymore yet I really believe I do. Stryder, Cat and Jax have all stolen a section of my heart and set up camp there. WOW!!!! was one of the first words that entered my head after reading this!!! I was extremely honoured to receive an arc for this! After reading Chasing Reese (book1) I fell in love with the characters but now I love them even more!! 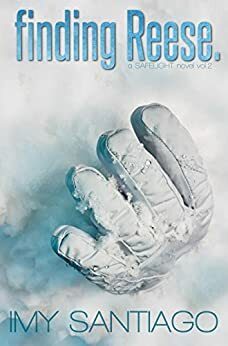 Catalina and Jackson Reese form a very strong bond and close friendship in book1 they just seem to 'get' each other on a level that no one else does. Jacksons best friend and photographer Stryder and Catalina fall in love, with much previous heartache for Cat her losing her fiance and unborn baby in a car accident years ago love is the last thing she wants or expects!! she thinks everything she loves will be taken from her so when Jackson and his crew get caught in an avalanche she automatically thinks the worst!! Will they manage to get to Jackson in time???? the avalanche has already claimed lives, so time is not in their favour! This is a beautifully told / written story and it will stay with me forever!!! So for that I thank the author Imy Santiago for this truly fantastically brilliant story! I love love love this and Im very much looking forward to the next book!! ★★★★★ Absolutely loved this book, possibly even more than Chasing Reese. Fell in love with Stryder all over again. All Imy's characters are strong willed and compassionate. The book had me crying, laughing and praying all at once. Absolutely love Imy's writing style. Romance at it's best. Highly recommend.